Prevent your chimney from becoming a health and fire hazard by getting an honest assessment from our trustworthy chimney inspectors. We do chimney inspections in Connecticut, but we also offer chimney and fireplace repairs and maintenance services. Reduce the risk of fire in your home by calling on Creative Masonry & Chimney to conduct chimney inspections and repairs. As a seasoned masonry contractor, we are aware of the legal ramifications and potential consequences ofa faulty chimney. We know how to spot red flags that inexperienced eyes might miss. Providing chimney supplies — We source qualitywood and pellet stoves, liners, caps, dampers, flashing, chase covers and more for you. Cleaningchimneys — Get rid of soot and ash so your chimney will be safe and efficient. Cleaning and installing dryer vents — Save on appliance repair costs and reduce your electric bill. We’ll remove the lint and debris that’s clogging your dryer vent. Rest easy with the knowledge that professionals who specialize in chimney repair and restorationare helping you make your Connecticut home or commercial property a safer place for everyone. Our OSHA-certified masons and chimney repair specialistsperform careful inspections and make recommendations for repairs based on their findings.Additionally, we have aligned ourchimney cleaning and repair services in Connecticut with the National Fire Protection Association’s NFPA 211 — the national standard for fuel-burning appliances. Routine chimney inspections make your home a safer and healthier place to live. Learn more about our services and our inspection process. Call us, email us or use the contact us form. Regular chimney inspection and cleaning services can reduce the incidence of fire hazards in your home because a blocked, accumulate-filled chimney that’s dripping with creosote is combustible enough to at least damage the structure or, at worst, start a fire that will burn down your home and all the surrounding homes. People schedule fireplace and chimney inspections regularly because it’s dangerous to neglect these services. Even if you’re regularly cleaning these areas, you may still need an inspection to see if you’ve missed any spots, as well as an assessment as to if they require a more thorough sweeping or vacuuming. 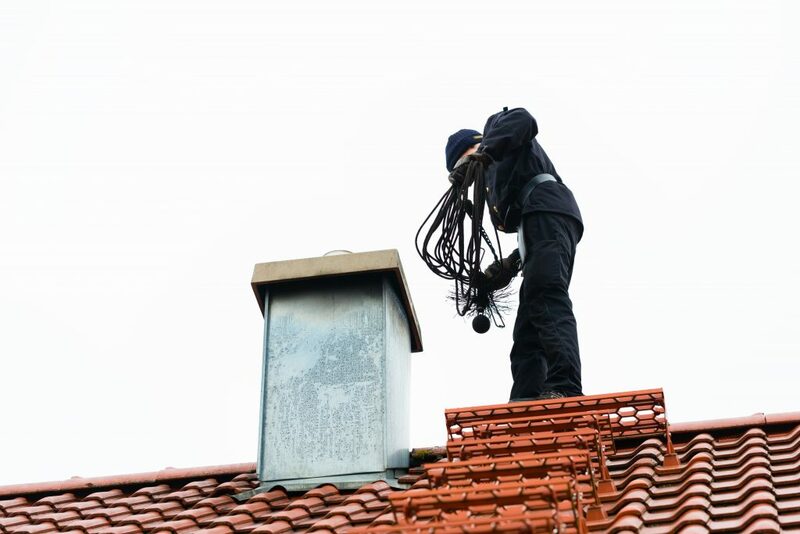 It’s better to be safe than sorry; that’s the prevailing school of thought when it comes to chimney inspection services. You wouldn’t want your home’s equivalent of an exhaust pipe to be blocked. That could spell disaster, as harmful carbon monoxide, which needs to be expelled, is pushed right back into your home. A chimney that’s not regularly or properly cleaned can get damaged by the wear-and-tear of constant usage. If this practice continues, it’s very likely that you will end up calling for masonry repairs, which can be expensive. Chimney Inspection or Free Estimate? A word of caution: a chimney inspection is required because it’s difficult for you to evaluate your chimney’s condition simply by looking at it. Do you really want a free estimate for work you may not need? Of course not! There have been many cases where the homeowner only wanted a free estimate, and they got it—along with a big fee for a repair they may not have needed. They were unsure if their chimney even needed work. We are here to help you! A chimney inspection is required because it determines your next course of action! You can greatly benefit from Creative Masonry & Chimney‘s expertise. Get a Free Estimate, or call us at (860) 225-9178. Level 3 – Usually the most expensive – Price Varies From $399 & Up.